The end is here! Stitch No 33, Striped Check is the final stitch in my knitting stitchathon! 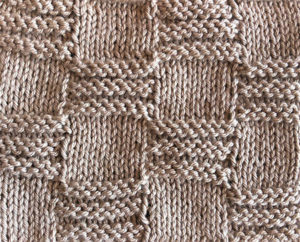 I hope you’ve enjoyed this series of 19th century and 1930’s knitting stitches. I have a lot of new additions planned for knitters, my fellow embroiderers and more, so if you’d like to keep notified whenever I post something new, subscribe over on the left (on desktop), or underneath this post of you’re using a tablet or on mobile. Next Next post: Some Christmas Favourites!